2-Factor Authentication is an excellent way to ensure no one can access your online accounts. The users will have to provide the username, password and a temporary code sent to their phone. Thus making it almost impossible for any hacker to hack your account without access to your phone. However there is a downside to 2-FA, many people feel that it is a complicating and slow to go through the double check process, and that’s why they just drop this security altogether. Thankfully, you can use Google Authenticator to speed up this process a little and without depend on the coverage of your mobile phone. 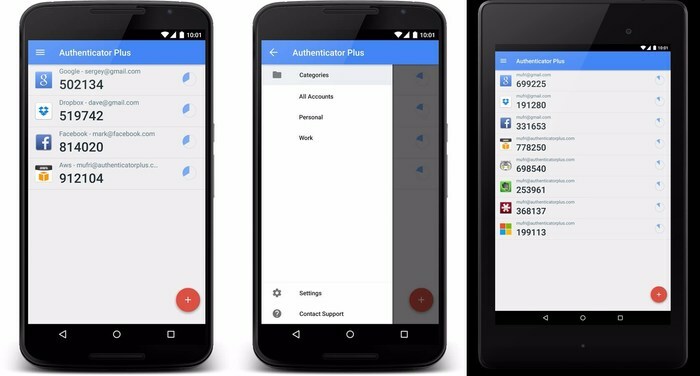 Google Authenticator will let you generate codes with a single tap and easily apply them to your account. It’s all easy and great, but what about other similar apps like Google Authenticator? Have you ever thought of trying Google Authenticator alternatives that might offer more ease or even a different method to authenticate? Also Read: TRP Guides: How to Password Protect Folders and Files in Windows? Well, there are many apps available similar to Google Authenticator that will let you complete 2-FA process on supported websites efficiently. In this post, we will list down best alternatives to Google Authenticator and discuss why you should opt for them. Authy is the direct rival to Google Authenticator, and I must say it does a better job. It uses the same process for authentication, and it will generate temporary codes (tokens) that you can use to access your account. However, it comes with some extra features that make it better than Google Authenticator. It will let you backup all your tokens to the cloud so you could easily sync them over your other devices and use any device to authenticate an account. On Google Authenticator, you are bound to depend on a single device connected to your account. Similar to Google Authenticator, it can also generate codes when you don’t have mobile coverage (even in Airplane mode). If you are an iOS user, then you can also add extra security by adding fingerprint security to the Authy app. 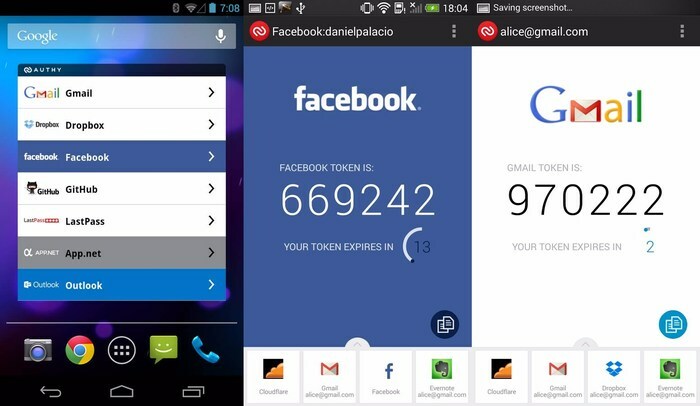 Simply put, Authy should be your first choice if you want something like Google Authenticator. Authenticator Plus takes security very seriously and combining all its features makes it completely unbreakable. The only problem with Authenticator Plus is that it is a paid app that will cost you $2.99 to enjoy all the features. It also uses the process of authenticating using a generated code. It will backup all your accounts to all of your devices to easily access your account using any device, including Android wear. The Authenticator Plus app is secured using 256-bit AES encryption to ensure no one could access it even if they get a hold of your device. You can also use fingerprint security on supported devices to improve safety further. Apart from security, it also organizes accounts well and offers a stylish interface. If you are looking for a little different way to authenticate, then Sound Login Authenticator has something to surprise you. As the name suggests, this app uses a distinct sound to authenticate your accounts. Its security is comparable to Google Authenticator, but it requires a prior setup and a dedicated extension in your browser to use it. You will have to download the app on your phone and Sound Login Authenticator extension in your browser (Chrome, Firefox, and Opera supported). After that, you will have to verify your accounts with the app (instructions provided on the website). Whenever you would like to authenticate, just point your phone to the PC’s microphone and press the button of the mobile app to sound a ringtone. This tone will automatically enter a code on your PC to authenticate. Also Read: The Pro Guide: How to Keep Your Android Device Secure? Although Google Authenticator works just fine, you should give other alternatives a try if you want something different. If you are concerned about security, then Authenticator Plus is a great option if you don’t mind pulling few bucks out of your wallet. Although, Authy should be the first choice for people who want a free authentication app. 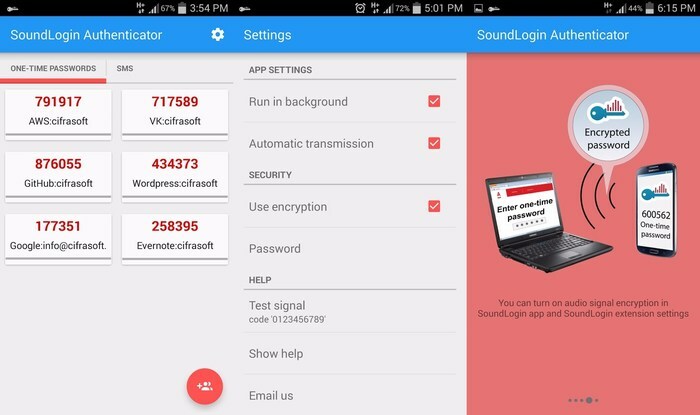 We recommend Sound Login Authenticator only if you want something completely different and don’t care for extra security features offered by the other apps. It requires some conditions to be fulfilled before it can work properly, and sometimes it may not be able to authenticate if things are not in proper setup. Do let us know in the comments if you use 2-FA security and how you authenticate it. Next: How to Clear Autofill: How to Delete Autofill in Chrome & Other Browsers?